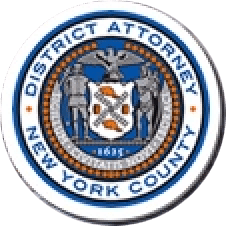 Manhattan District Attorney Cyrus R. Vance, Jr., today announced the guilty plea of MICHIKO DIAZ, 58, for stealing more than $800,000 from her former employer. The defendant pleaded guilty in New York State Supreme Court to Grand Larceny in the Second Degree, Criminal Possession of a Forged Instrument in the Second Degree, Criminal Tax Fraud in the Third and Fourth Degree, and Offering a False Instrument for Filing in the First Degree. Diaz is expected to be sentenced on September 14. As admitted in the defendant’s guilty plea, between 2006 and 2012, DIAZ was employed by Kobe Steel USA as an Assistant Accounting Manager in its midtown Manhattan office. Between October 2006 and October 2012, she stole more than $800,000 from the company by writing and depositing a total of 99 checks payable to herself from a business account that she managed. The checks bore the forged signatures of different authorized company representatives. In order to disguise the thefts, the defendant made false entries in the company’s accounting records. DIAZ routinely used the stolen funds to pay for court-ordered restitution arising out of a prior criminal case in New Jersey, as well as other personal expenses, including clothing, makeup, credit card and cable bills, and her daughter’s wedding expenses. Assistant District Attorney Lisa Zito handled the prosecution of the case under the supervision of Assistant District Attorneys Gloria Garcia, Deputy Chief of the Financial Frauds Bureau; Archana Rao, Chief of the Financial Frauds Bureau; and Executive Assistant District Attorney Michael Sachs, Chief of the Investigation Division. Former Investigative Analyst Ellen Choi also assisted with the investigation. District Attorney Vance also thanked retired Detective Walter Lynch of the Midtown North Detective Squad, Kobe Steel USA, and the New York State Department of Taxation and Finance for their assistance.